There are various reasons that you should use natural beard oils, for starters it helps to moisturize your beard as well as your facial skin, and this means that as your beard grows, it is softer. It also helps to groom those longer and at times peskier bristles so that they stay in place. Thanks to the natural ingredient in natural beard oils, such as citrus, sage or cedar wood oil, it also provides a great scent. Manufactured by Beardbrand, this cedar, eucalyptus and pine combination is offers a brawny lumberjack scent that is ideal for those with a Paul Bunyan beard. Manufactured by Jack Black, this highly hydrating beard oil is a force to be reckoned with, it is not only healthy for your beard, and it is also healthy for the mind. It contains Vitamin E, Kalahari melon oil, carrot extract and brown algae, these ingredients help to soothe your facial skin while plum and marula oils soften your beard and allow for a controlled style. Manufactured by the Brothers Artisan Oil, this beard oil contains jojoba, argan as well as grapeseed oil and is popular for softening some of the toughest beards out there while leaving a refreshing and crisp scent that lasts you all day long. How is Beard Oil Applied? It is very simple to apply beard oil, rub three to four drops of your preferred on your palms and through your fingertips, apply to your clean and dry beard using upward motions. Begin on the underside and move your right hand across your face right toward the left cheek and do the opposite with the left hand. To evenly distribute that oil after it is applied, use a beard comb, if you have a moustache make sure that you comb it as well and make sure that when you are done distributing the oil, all the hairs are combed back into place. The frequency of application will vary from one person to the next. It is important to apply it once in the morning and again when you feel like it, wait at least a few hours in between application, for most people once a day is sufficient and you do not usually need more than three doses in one day. 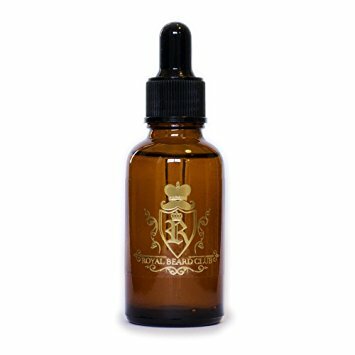 Make sure that you only apply after you beard is clean and dry; a dirty or wet beard will not properly absorb the oil. If you apply your beard oil right before bed, it will probably soak right into your pillow so time the application properly.